A 47-year-old man has been jailed for punching a police officer and injuring him so badly that he had to have nine weeks off from frontline duties. 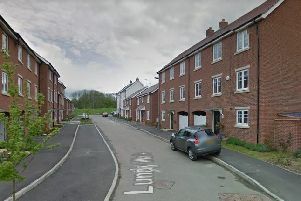 Rodney Sergeant was on recall from prison when the assault happened last November in Booker Avenue on Bradwell Common. He pleaded guilty at Aylesbury Crown Court to grievous bodily harm and possession of a pointed or bladed article. The court heard Sergeant violently resisted arrest by punching the officer repeatedly. He managed to evade an initial arrest but ran out into a road where he was in a collision with a responding police vehicle. The drama happened in the middle of the afternoon near a popular children’s play park. After being arrested, Sergeant was searched and a blade was found in his possession, say police. He has now been sentenced to 18 months’ imprisonment. The officer suffered a ruptured ligament in his hand. Inspector Tim Robinson said: “When an attempt was made to arrest Sergeant, he could have simply complied, but instead he violently attacked a police officer."